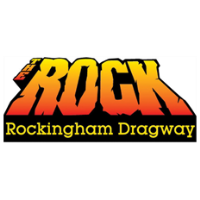 On Saturday, August 18, Rockingham Dragway will swap hot rods and horsepower for barbecue and bluegrass when it opens its gates to “Smoke at The Rock,” a family-themed cookoff featuring music by Cumberland County Line, barbecued chicken and pork and a double elimination corn hole tournament. Contestant entry for two is $40. Traditional judging by professionals chosen by “Smoke at The Rock” officials will determine the Top 3 in the pork and chicken categories with the three judged winners awarded trophies and free entry to defend their titles at the 2019 cookoff. There also will be a People’s Choice category in which the general public will determine a separate Top 5 to whom trophies also will be awarded. Gates open at 1 p.m. Saturday, Aug. 18, with barbecue sampling from 2 p.m. until 4 p.m. Adult admission is just $8 with children under 12 free and free parking in Rockingham’s main lot. Each admission will include two People’s Choice voting tickets, one for pork and one for chicken. The corn hole tournament is free to anyone who purchases an $8 admission ticket and will pay out $200 if there are eight teams. Registration with a blind draw for teams will be at 1 p.m. Competition will begin at 2:30 p.m. Tournament and cookoff results announced at 5 p.m.